Bobby James Awards 2016 | World Wrestling Entertainment: A Phenomenal Arrival – BOBBY JAMES. With this post, the Bobby James Awards are officially 15 years old! They began at the end of 2002, to commemorate the “Best of WWE.” Since then, they have grown to encompass music, television and one of my favorites, movies. The WWE category though remains the oldest and one of the year-end posts I look most forward to creating. So let’s lay the SmackDown on 2016. After months of rumors and decades in he business, Styles shocked the wrestling world by entering the Royal Rumble. Since then, he’s been the WWE’s most reliable star and has worked programs against the likes of John Cena, Chris Jericho and Dean Ambrose. He made his WrestleMania debut, though in a losing effort (to Jericho), and went on to capture the WWE World Heavyweight Championship. Years don’t get any bigger for emerging main roster talents. 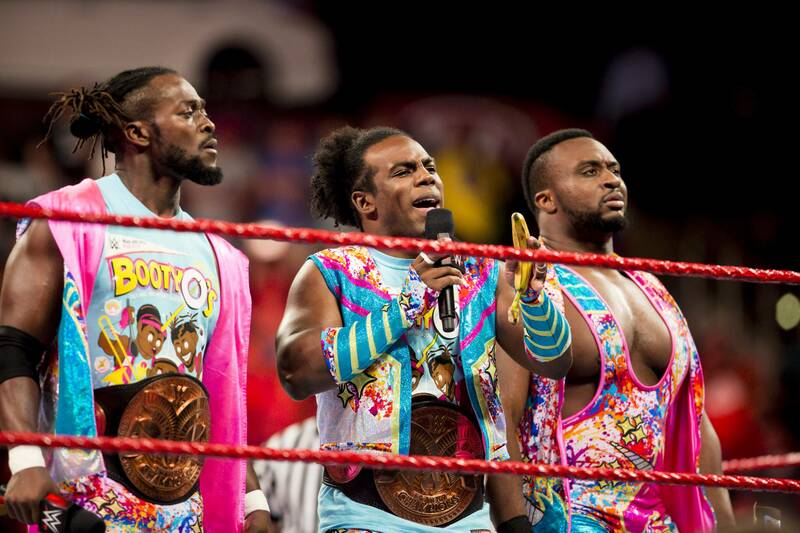 From trombones and Booty O’s to their historic title reign, The New Day (Xavier Woods, Kofi Kingston, Big E) has reigned over the WWE Tag Team division for well over one year. They’ve turned back challenges from all would-be successful teams including the debuting Vaudevillains, Enzo and Cass, and The Club (Luke Gallows and Karl Anderson). They defeated unlikely alliances like Cesaro and Sheamus, held back the returning Dudley Boys and prevented The Usos from another title reign. They’ve been together since 2014 and are still one of WWE’s most entertaining acts. “The Empress of Tomorrow” arrived on the scene this year, and quickly became one of WWE’s stand-out superstars. She unseated Bayley to become the NXT Women’s Champion in April and has reigned over the [now] depleted division since. She’s put together impressive matches against the likes of Bailey and less experienced foes like Dana Brooke and Nia Jax, among others. One of her highlights this year has to be her NXT TakeOver: Toronto battle against the returning Mickie James, a 6-time WWE champion in her own right. Where she goes from here remains to be seen, but there is no denying that Asuka ruled NXT’s women’s division in 2016. Love him or hate him, there’s no denying Reigns has improved greatly throughout this year. Sure, he has his detractors, primarily for his limited arsenal, but his in-ring style remains intense and increasingly more fluid. He’s not as stiff on the mic. and he generally appears like he’s enjoying himself in the ring. It’s a vast improvement over 2015, which saw him stumble through a main event push. 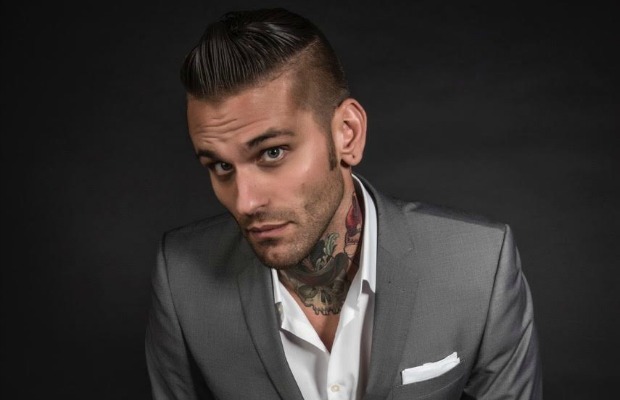 During the newly instituted WWE brand extension, Corey Graves found himself drafted to RAW. In his role as a commentator, Graves has settled in nicely and has brought his [tamed] “Savior of Misbehavior” attitude to the commentary booth and WWE’s flagship show. His weekly exchanges against Michael Cole and Byron Saxton make for entertaining television, and it’s nice to see the dynamic (heel-ish at times) role he assumes throughout any episode of RAW. With the brand extension came the return of WWE’s Cruiserweight division. TJ Perkins was among the many stars that partook in the Cruiserweight Classic on WWE Network. A well-traveled, exciting and underrated performer, Perkins reached heights previously unknown to his career when he was crowned the inaugural Cruiserweight Champion. The division is still in its early stages, but it’s hard to imagine it existing without an exciting figure like TJ Perkins moving forward. The Revival (Scott Dawson and Dash Wilder) spent the year either reigning as, or chasing after, the NXT Tag Team Championships. From their encounter with Enzo and Cass at NXT TakeOver: London to their collision with American Alpha (Chad Gable and Jason Jordan) at TakeOver: Dallas, The Revival proved to be the most successful tag team in NXT. In addition to their memorable bouts, they became the first-ever 2-time Tag Team Champions in NXT history (though they won’t finish the year with the titles, thanks to #DIY). Was there a more significant event this year? Possibly. More exciting? No. 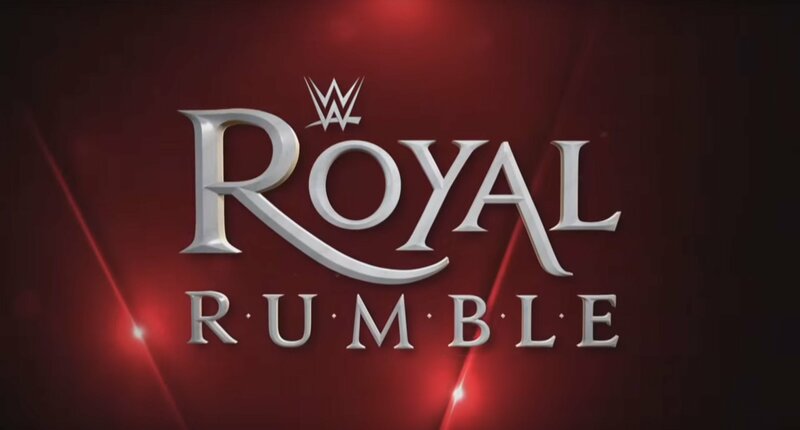 WWE produced one of the most memorable Royal Rumble events in recent memory. The event featured a great Intercontinental Championship match between Dean Ambrose (c) and Kevin Owens, Sasha Banks emerged as a challenger to Charlotte Flair (after her title defense against Becky Lynch), Triple H won the Royal Rumble by eliminating Dean Ambrose and AJ Styles made his main-roster debut in the match itself. This was the launch pad for what will go down as one of the most exciting years since The Attitude Era. 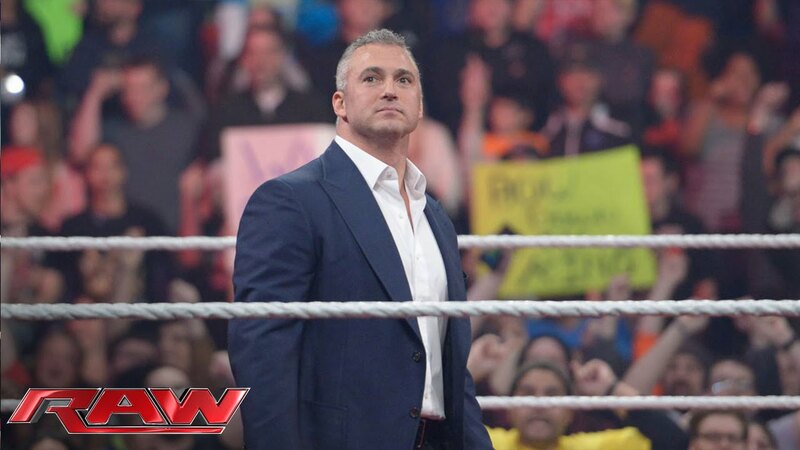 On February 22, during Stephanie McMahon’s Legacy of Excellence segment, Shane McMahon made a triumphant return to WWE. The raucous crowd welcomed McMahon back after nearly seven years, and his feud with Stephanie led to a WrestleMania Hell in a Cell match against The Undertaker. If he won, he gained control of Raw – but in the match’s closing moments, McMahon exploded through an announce table from the top of the structure and suffered a loss on the “Grandest stage of them all.” Soon after, he was entrusted with Smackdown! Live and paired with Daniel Bryan, to create a “ratings war” against Stephanie McMahon and Mick Foley on RAW. I struggled with this selection because 2016 presented so many great entrances that stand on their own as special moments, entrances like Bobby Roode’s glorious homecoming at NXT TakeOver: Toronto, or Shinsuke Nakamura’s at NXT TakeOver: Brooklyn II. We had Sasha Banks, Charlotte and Triple H at WrestleMania – but perhaps no entrance was more significant than or universally recognizable as AJ Styles’ was and would become. Like Roman Reigns, the WWE Universe looked on with confusion when “Phenomenal” played in the Amway Center in Orlando. But once “I-am-phenomenal” pieced across the screen, the shockwaves were sent through the wrestling world. Last year, I debuted this award in honor of Finn Bálor, who has one of the best and most theatrical entrances in all of wrestling. This year, I’m trading theatrics for recognition and impact. AJ Styles’ entrance is a signature part of his persona, and one of the most recognizable entrances around the world. His impact on 2016 began with that phenomenal entrance. “The King of Strong Style” debuted his unorthodox persona and style at NXT TakeOver: Dallas by defeating Sami Zayn in his WWE debut. He moved into a short feud with Austin Aries before dethroning Finn Bálor as the NXT Champion. 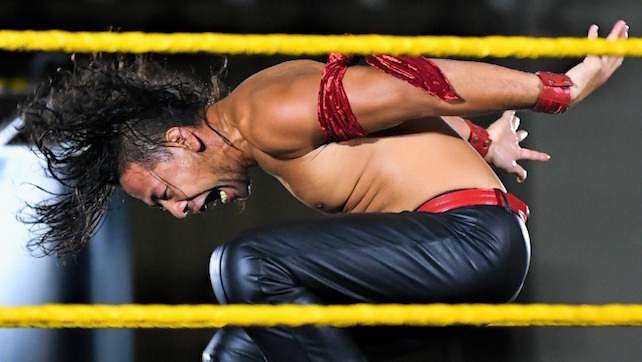 Nakamura works through a language barrier and has become one of the most exciting stars in all of WWE. Dad, you know what I remember growing up? I remember Christmases, I remember birthdays … I remember Mom saying, ‘Daddy’s always with you.’ But you weren’t ever there. I had to watch you on television. I understand why you weren’t there, you know why? Because I’m the WWE Women’s Champion…I understand what it felt like to be ‘The Man,’ [because] I’m ‘The Woman!’ That’s why I finally have the courage to say it to you Dad: Get out of my ring! Do you know what it’s like walking into a room and they say, ‘Hey look! 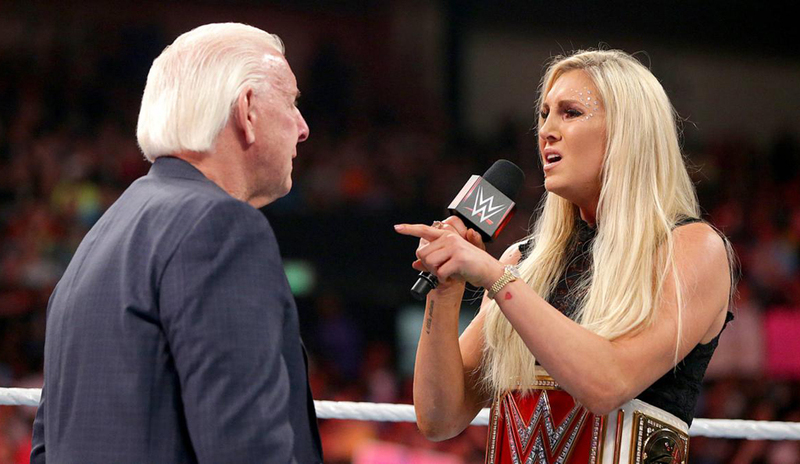 That’s Ric Flair’s daughter.’ No – you know who you are? You’re Charlotte’s dad! (mocks Ric) I don’t need you anymore! You’re immortal to them. To me? Dead. Get out of my ring, I’m done with this sad story – get out. Don’t take another step toward me – actually, you know what you can do? You can just watch me on TV like I did the last thirty years to you. (mocks Ric) Out you go. The former 2-time Divas’ Champion made a full-time return to WWE in April, when she attacked Zack Ryder’s father at ringside and helped her husband, The Miz, become a 5-time Intercontinental Champion. With Maryse at his side, The Miz returned to heights recently unseen and was successfully managed through a feud with Dolph Ziggler (which ultimately saw The Miz become a 6-time Intercontinental Champion). In addition to being an attraction in her own right, Maryse joined the cast of E! Total Divas where she thrives. 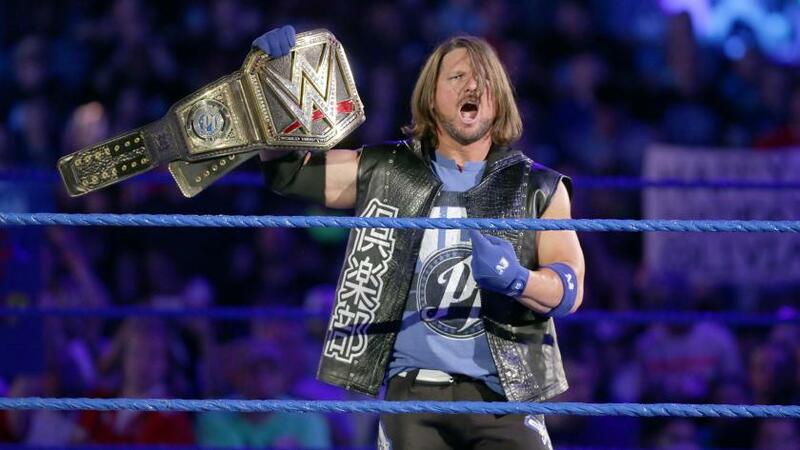 After demanding to be introduced as “The face that runs the place,” AJ Styles did what many figured he never would – he became the WWE World Heavyweight Champion – the champion, a holder of a title dating back to 1963, after nearly two decades in the wrestling business. 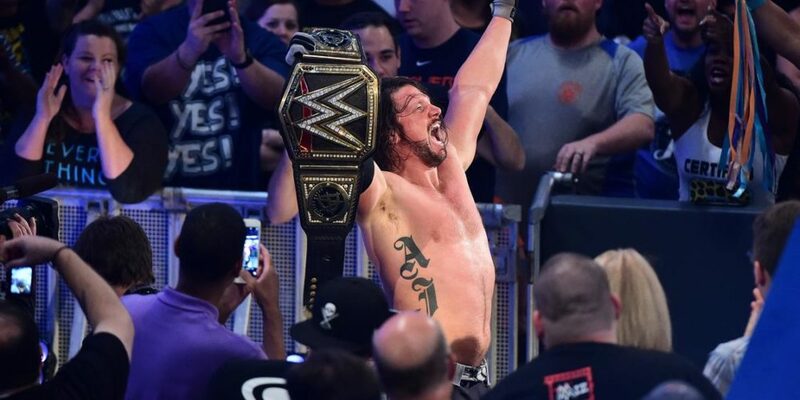 It was a moment Styles fans have longed to see, and at Backlash it was delivered when he controversially defeated Dean Ambrose with a Styles Clash. Shinsuke Nakamura debuted in NXT in April. By June, he had defeated Finn Bálor for the NXT Championship. By December, he emerged from his storied rivalry with Samoa Joe as a 2-time NXT Champion. From his unorthodox presence and in-ring style, to his grand showmanship and elaborate entrances, Nakamura solidified himself as a WWE star. A main roster call-up has to be in his future – and then, more of the world will see what NXT fans already know. Within a year of their arrival on the main roster, the Diva’s Championship was retired and a new WWE Women’s Championship was issued. Charlotte vs. Sasha, a rivalry born in NXT, was teased at the Royal Rumble. Then, the two collided with Becky Lynch at WrestleMania 32. Beyond that, they’ve battled for the title since, each becoming a 3-time Women’s Champion in the process. Their feud has been iconic – and history-making – and something the WWE Universe hasn’t truly known since Trish Stratus vs. Lita or The Rock vs. Stone Cold or Cena vs. Orton. They’ve main evented Monday Night RAW, competed in the first-ever Women’s Championship Hell in a Cell match (which marked the first time a women’s match main evented a WWE Pay-Per-View event) and first-ever Women’s Falls Count Anywhere match. They conclude their year with a “final chapter” in a 30-minute Ironman Match. This intense rivalry easily ranks as the No. 1 feud of 2016 and is already one of the greatest of all time. I can only imagine what the future holds should it be revisited, as I suspect it might be when it comes time for the women’s division to main event WrestleMania. These will be the women to write that particular chapter of history. In 15 years, I have never tied the Woman of the Year category – but this year, there were two exceptional talents on Monday Night RAW, a queen and a boss. Charlotte and Sasha’s legacies will forever be intertwined in the annals of wrestling history, and American pop culture. You will not mention one without the other. Charlotte grew tremendously this year as she emerged from her father’s shadow and wrote a legacy for herself. She’s been aligned with Dana Brooke, been a trailblazing superstar and become a 3-time Women’s Champion. She has written history alongside Sasha – and they’re just getting started. For her part, Sasha has crafted history in her own right and matches Charlotte’s record as a 3-time Women’s Champion. She also becomes the only female to win the title twice in the RAW Main Event and to compete in two 30-minute Ironman matches. Sasha and Charlotte deserve their accolades and are writing a very exciting new chapter for not only women’s wrestling, but wrestling in general. I won’t be surprised to see them eclipse their male counterparts over and over and over again in the coming years. 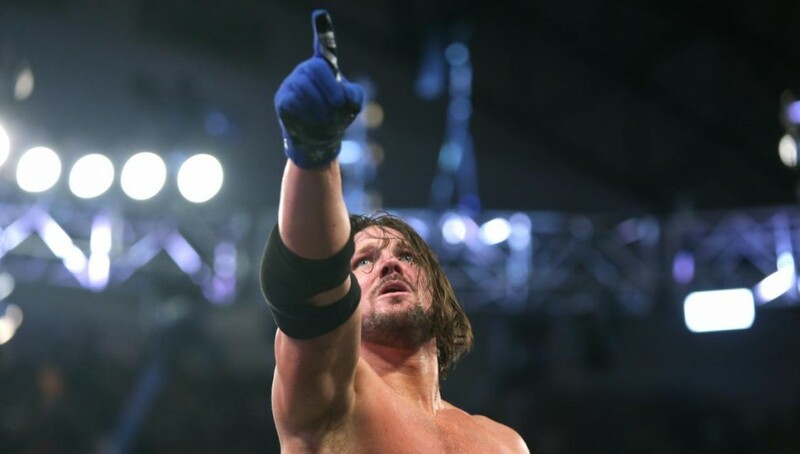 From his thrilling debut at the Royal Rumble and first WrestleMania (vs. Chris Jericho) match, to his feud with John Cena that culminated at SummerSlam, to his battles with Dean Ambrose and capture of the WWE World Heavyweight Championship, there is no denying that AJ Styles has arrived. He was thrust into the main event scene and has continued to thrive ever since. The brand extension has placed him on Smackdown! 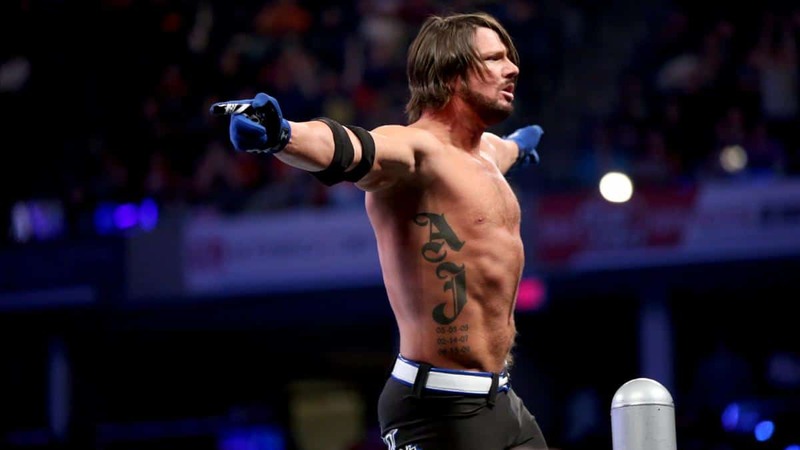 Live, but AJ Styles’ presence in 2016 – in all of the WWE – is undeniable and that’s why this year, there will still only be one Superstar of the Year, because much like I believed Cena did in 2005, AJ Styles dominated the WWE landscape. He is phenomenal. For over a decade, John Cena has reigned over the WWE. He amassed 15 WWE/World Championship reigns, and he’s one of the biggest stars professional wrestling has ever produced. He is the contemporary version of “The Man.” During that time, AJ Styles was booking indy shows and growing TNA Wrestling as one of the company’s megastars. Before this year, “What if?” was always the reality. Then the Royal Rumble happened – and soon after his arrival, he had John Cena’s attention. Their seemingly bitter, and intense rivalry, was mired in controversy leading up to SummerSlam, but on August 21, it became abundantly clear that AJ Styles was a main event mainstay when he defeated John Cena cleanly in the center of the ring. Styles and Cena stole a show headlined by a rare – and underwhelming – encounter between Brock Lesnar and Randy Orton. The 23-minute match was filled with memorable spots and high drama. Most importantly, viewers were left wondering “will they or won’t they” let AJ Styles go over Cena. In the end, a final Phenomenal Forearm secured Styles a career-defining victory and served as a vote of confidence to make him a champion. “The Great One,” “The People’s Champion,” “The Brahma Bull,” The Rock debuted in 1996 and became a central character to “The Attitude Era” and ultimately the “Most Electrifying Man in All of Sports Entertainment.” He’s waged war against Vince McMahon, “Stone Cold” Steve Austin, Brock Lesnar, John Cena, Hulk Hogan and countless others. He’s known for his electric charisma, his eyebrow raises and his many catchphrases, one of which included, “Lay the SmackDown!,” which spawned WWE SmackDown!, a signature show comparable to Monday Night RAW. The Rock is a 10-time WWE World Champion, a 2-time Intercontinental Champion, a Royal Rumble winner and 5-time Tag Team Champion. He’s one of the few stars to successfully cross-over into Hollywood, much like Hulk Hogan did in the 1980s, but his star has risen the highest of them all. The Rock is a bonafide movie star and box office draw. On average, his features gross an average $100 million. He’s been cast in some of Hollywood’s biggest franchises (like Fast & Furious), by some of the biggest studios (most recently Disney for Moana) and entrusted to revive projects like Baywatch and a Jumanji remake. This year alone, he ranked atop Forbes‘ highest paid actor list, was named People Magazine‘s “Sexiest Man Alive,” received a People’s Choice Award (for Favorite Premium Cable TV Actor), was honored with the Mr. Olympia Icon Award and was nominated for a star (Class of 2017) on the Hollywood Walk of Fame. When it comes to stars in wrestling, there has never been anyone any bigger. The Fabulous Moolah was a pioneer for women’s wrestling. She began her career in 1949 with Mildred Burke, but went on to capture the Women’s Championship against Judy Grable in 1956. She held the title, as recognized by WWE, for 28 years – the longest title reign in the history of professional wrestling. Perhaps Moolah’s greatest contribution though comes from the centralized role she played in the 1980s, through the Rock ‘n’ Wrestling Connection. “Captain” Lou Albano and pop megastar Cyndi Lauper began a verbal feud that was settled via a Women’s Championship match a Brawl to End it All (24 July 1987), which was broadcast on MTV. Wendi Richter defeated Moolah to become champion, which ushered in a new, mainstream era of wrestling. The women’s division welcomed figures like Leilani Kai, who was instrumental in Moolah’s feud against Richter. The feud spanned another year, and ultimately led to Moolah, as a masked “Spider-Lady,” defeating Richter for the Women’s Championship in what has become known as “The Original Screwjob,” after which Richter departed WWF. Moolah went on as champion for another two years, turning back challengers like Velvet McIntyre and entering a feud with the “Sensational” Sherri Martel. This time gave way to the rise of women’s wrestling and laid the foundation for women like Alundra Blayze, Bull Nakano, Jacqueline, Chyna, Trish Stratus and Lita – and now, Sasha Banks and Charlotte (though each group made their own divisions relevant again). In 1999, Moolah defeated Ivory for the WWF Women’s Championship – and though she held the title only eight days, at 76 years old, Moolah became the oldest champion in the history of sports entertainment. Her legacy is undeniable and her name is synonymous with both the mainstreaming of wrestling and the women’s division and championship. There you have it, the 15th edition of the Bobby James Awards: WWE. What do you think?